Vladimir Putin and President of China Xi Jinping visited an exhibition of Chinese arts and crafts and Chinese cultural heritage. 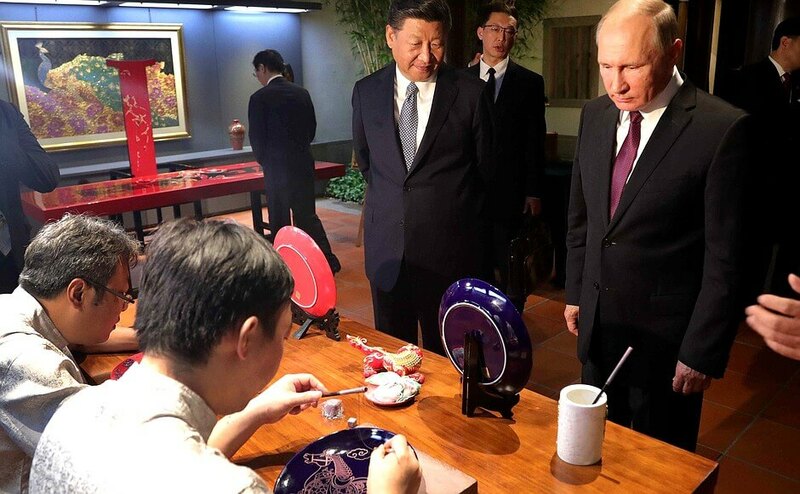 Vladimir Putin and President of China Xi Jinping visited an exhibition of Chinese arts and crafts. 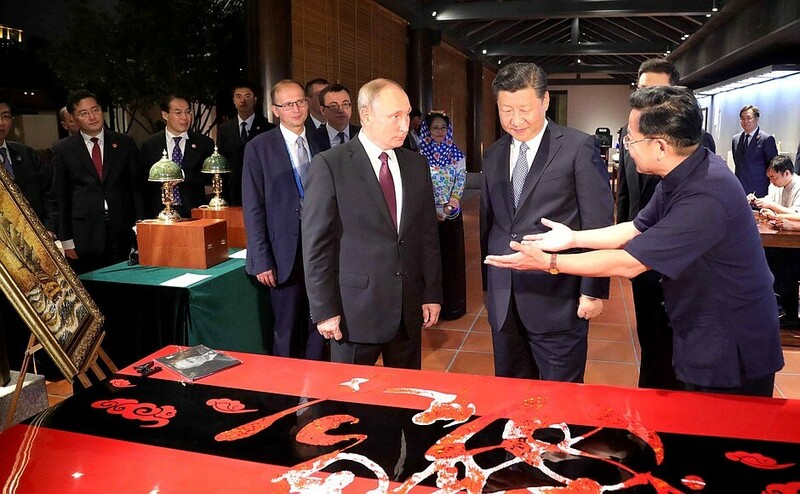 Vladimir Putin and Xi Jinping familiarized themselves with exhibits from various provinces of China – a stone panel with a painting made with the use of a special dot-by-dot carving technique, superfine woodcarving samples and dragon sculptures. The two presidents exchanged also gifts. 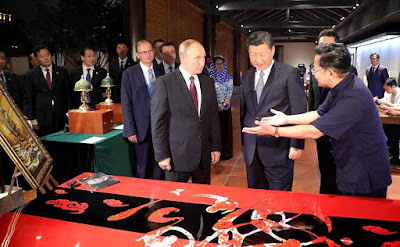 The President of China presented Mr. Putin with a sculpture of a Chinese warrior dressed in traditional costume and a handmade desk with a saying wishing prosperity written on it in Chinese calligraphy. 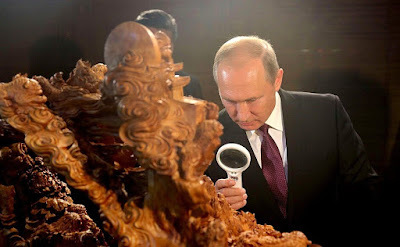 The Russian President presented Mr. Xi Jinping with an amber painting of a sailing ship and desk lamps made of nephrite. 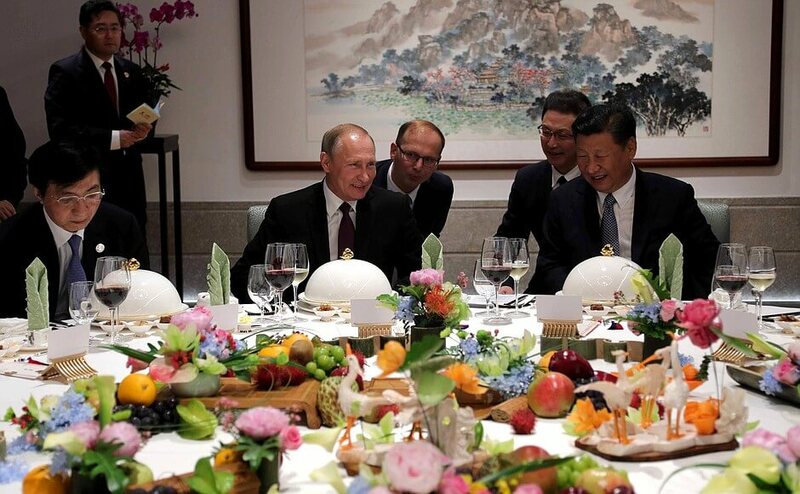 After visiting the exhibition, Vladimir Putin and Xi Jinping continued their exchange of opinions on key bilateral and international issues over a working dinner. Vladimir Putin at an exhibition of Chinese arts and crafts. With President of China Xi Jinping. Vladimir Putin at a working dinner with President of China Xi Jinping. 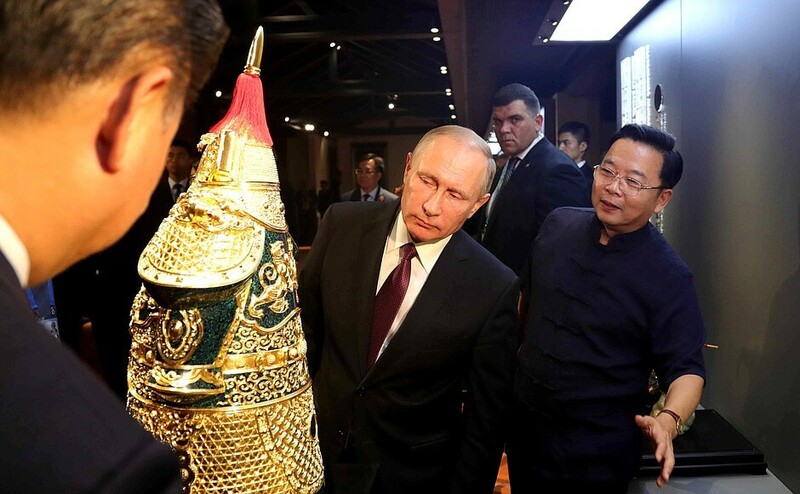 Vladimir Putin at the exhibition of Chinese arts and crafts. 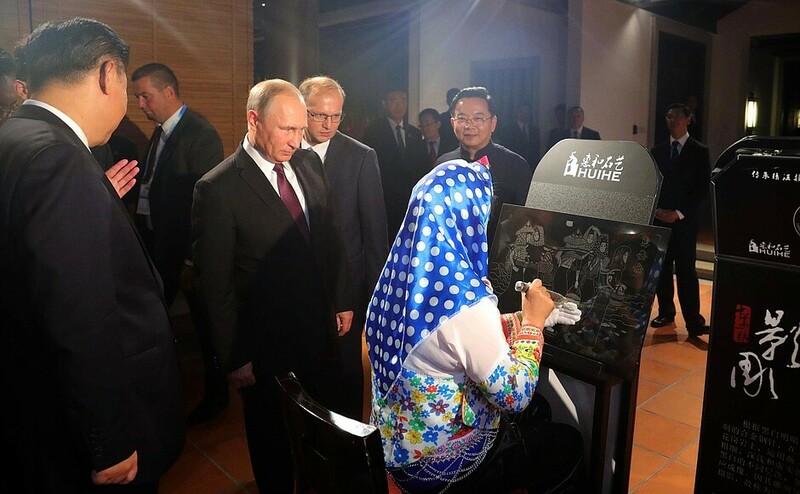 Vladimir Putin watching an exhibition of Chinese arts and crafts. 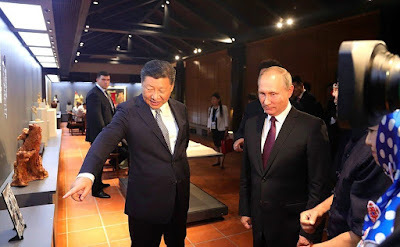 Vladimir Putin with Xi Jinping watching an exhibition of Chinese arts and crafts. Vladimir Putin with President of China Xi Jinping. 0 Comment to "Vladimir Putin visited an exhibition of Chinese arts and crafts"